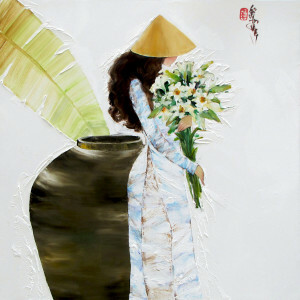 Asian artist Luong Dung’s highly stylized paintings are often compared to the beautiful Haiku verses that capture moments of fleeting beauty succinctly. 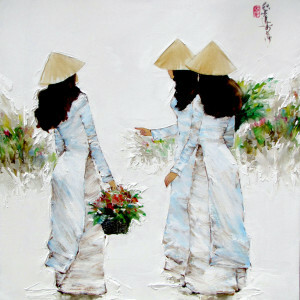 This composition shows two young schoolgirls in Ao Dais holding flowers. 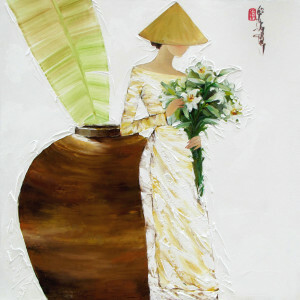 Two stylized banana leaves and an urn form the backdrop of this beautiful painting. 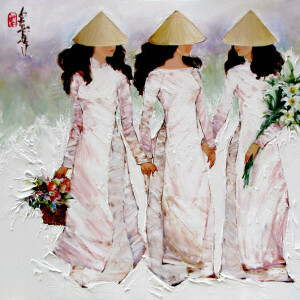 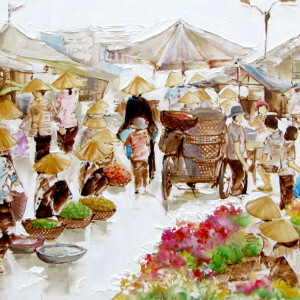 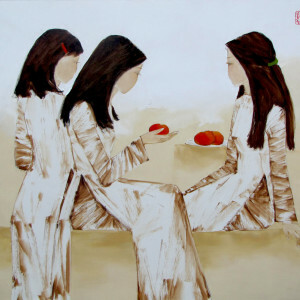 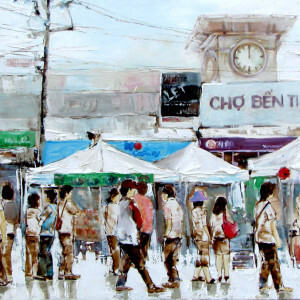 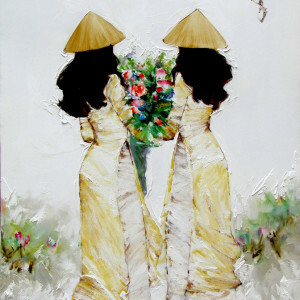 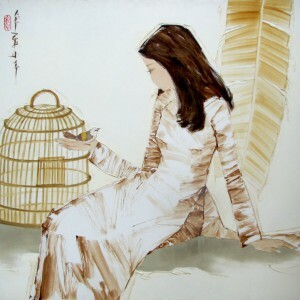 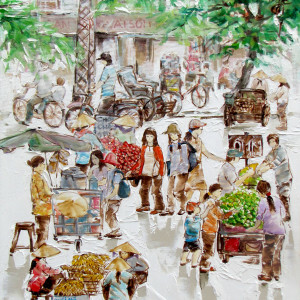 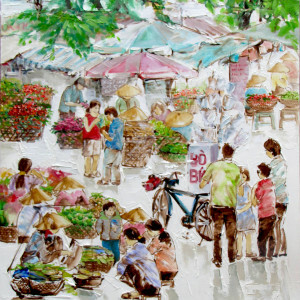 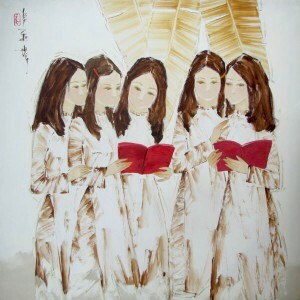 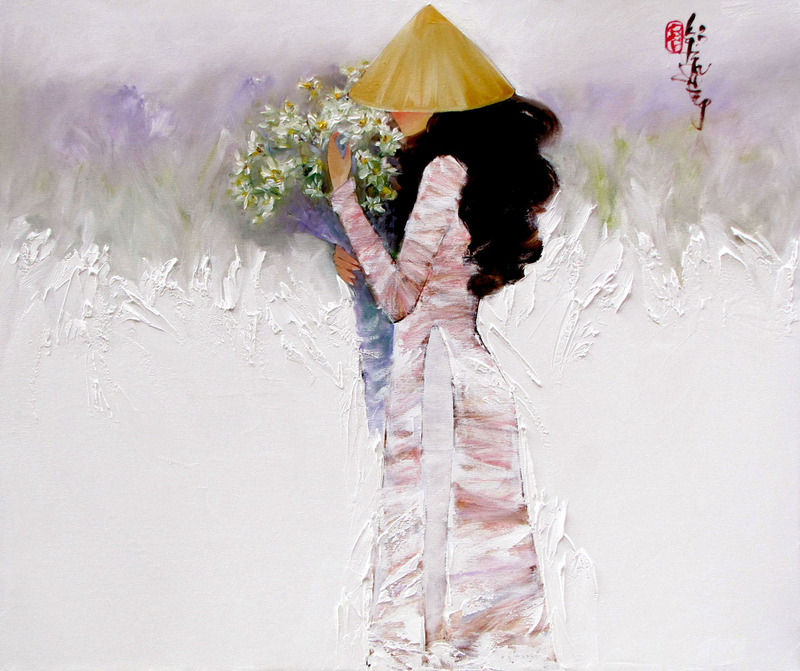 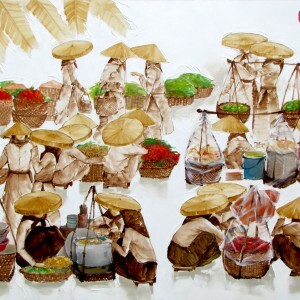 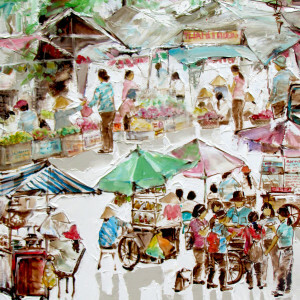 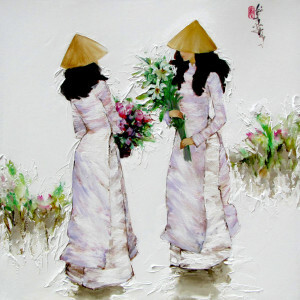 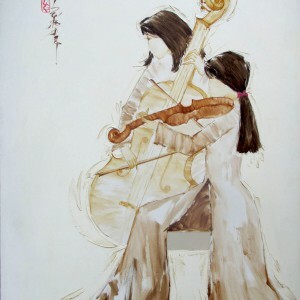 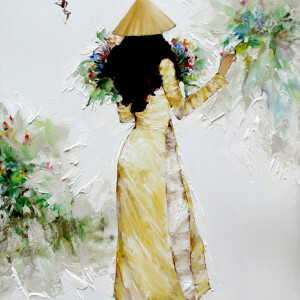 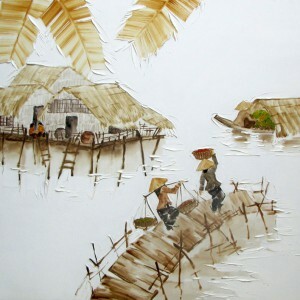 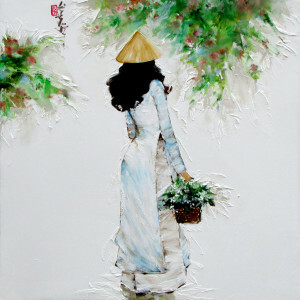 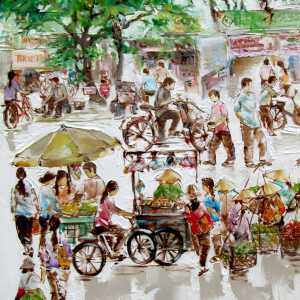 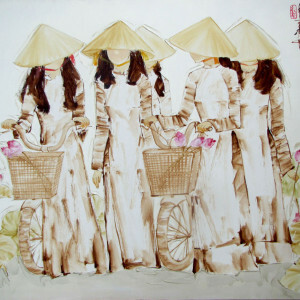 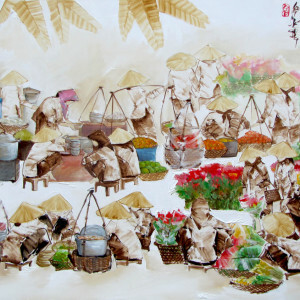 This painting is done in Luong Dung’s signature palette comprising browns and whites.